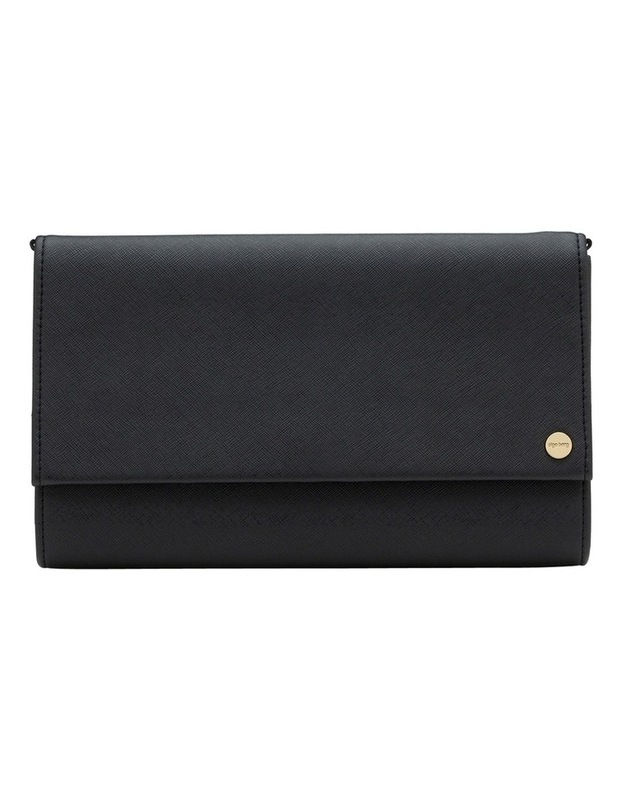 The Myra Oversized Clutch is sleek and understated with a matte finish. 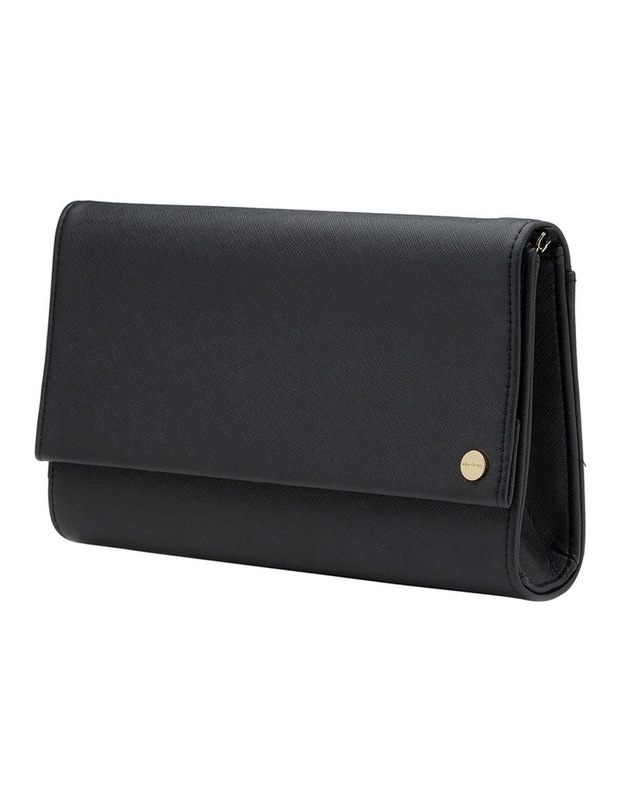 The flap opens up to a roomy interior which will easily hold your lip gloss, keys, cards and phone. Carry yours in hand or use the optional shoulder chain. This clutch easily holds an iPhone 6.